The Independent Trade Union of Coal Miners of Ukraine (NPGU) leaders and activists are under constant pressure and intimidation including physical assualt. It has become an unprecedented case when the representatives of Volodymyr Demchyshyn the Minister of Energy and Coal Mining Industry apply physical force to intimidate an NPGU leaders who are fighting against the destruction of the energy sector of Ukraine and the closure of the mines. 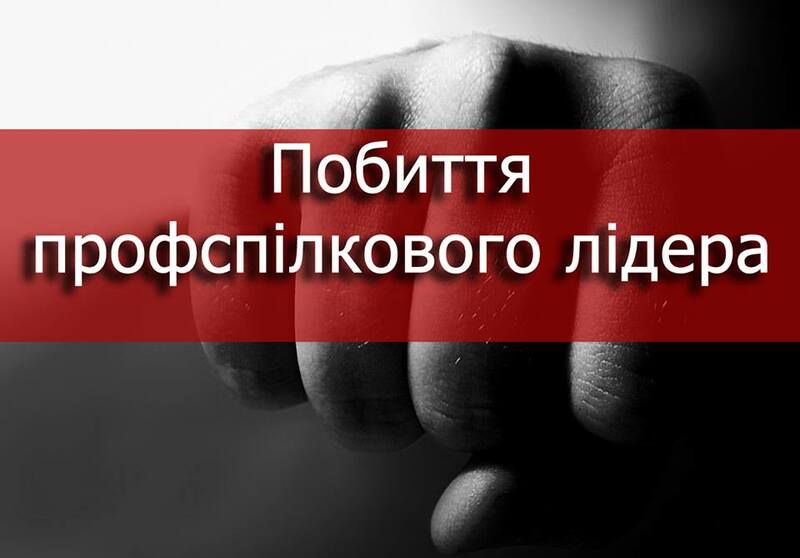 Today, February 3 2016, the associates of Minsiter Demchyshyn beat Anatolyi Mukhamedzhanov, the head of the primary trade union of Mine #1 Novovolynska. This happened in the office of the director of the coal mining enterprise. The purpose of this attack was to intimidate the leader of independent trade union of miners. The Minister of Energy and Coal Mining Industry couple of day ago issued orders (#41 and 42) which envisage handing over some of the best mines for privatization, and the rest of the mines are to be destroyed. According to Order # 41 three mines out of four mines in State Enterprises such as “Krasnoarmiysvugillya” and “Pervomaiskvugillya” are to be closed down. For example investors are invited to invest in only one mine – “Gorska”. Order # 42 stipulates the withdrawal of mine “1/3 Novogrodievka” from the State Enterprise “Selidivvugillya” by making a separate enterprise in order to propose this mine for privatization. The rest of the mines of this enterprise if destroyed won’t be able to function.. Both Orders of the Ministry haven’t been discussed and approved by trade unions and that’s why we believe that they are illegal and we will go to court. Also the Confederation of Free Trade Unions of Ukraine appealed to International organizations for support in establishing justice. The Ministry and the government do not propose any programmes for employment of the miners who are left with no jobs. The countries authorities have not got a clue what is going to happen with the infrastructure of the miners’ towns that are totally dependent on the mines to be liquidated. Our victim Anatolyi Mukhamedzhanov visited a medical centre and addressed the local police and the State Security Service department. We herewith call upon the law-enforcement bodies to use all possible measures to investigate the attack on our activist and detain the persons involved in the incident for further legal procedures.